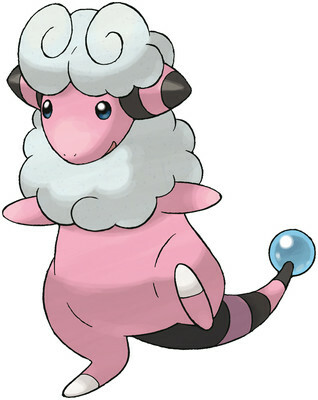 Flaaffy is an Electric type Pokémon introduced in Generation 2. It is known as the Wool Pokémon . The effectiveness of each type on Flaaffy. In Generations 2-4, Flaaffy has a base experience yield of 117. FLAAFFY’s wool quality changes so that it can generate a high amount of static electricity with a small amount of wool. The bare and slick parts of its hide are shielded against electricity. In the places on its body where fleece doesn’t grow, its skin is rubbery and doesn’t conduct electricity. Those spots are safe to touch. Flaaffy learns the following moves in Pokémon Ultra Sun & Ultra Moon at the levels specified. Flaaffy learns the following moves via breeding in Pokémon Ultra Sun & Ultra Moon. Details and compatible parents can be found on the Flaaffy egg moves page. Flaaffy can only learn these moves in previous generations. It must be taught the moves in the appropriate game and then transferred to Pokémon Ultra Sun & Ultra Moon. Flaaffy learns the following moves in Pokémon Sun & Moon at the levels specified. Flaaffy learns the following moves via breeding in Pokémon Sun & Moon. Details and compatible parents can be found on the Flaaffy egg moves page. Flaaffy can only learn these moves in previous generations. It must be taught the moves in the appropriate game and then transferred to Pokémon Sun & Moon. We don't have any Flaaffy questions yet!